Amber Benson was Tara Maclay, a University of California at Sunnydale student who Willow meets in Season 4 in a campus Wicca group during their freshman years. 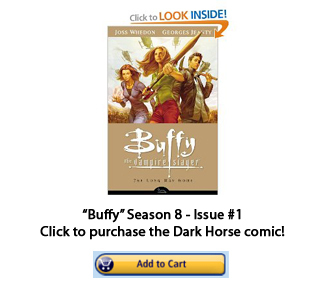 Tara and Willow begin dating, and Tara joins the Scoobies in their fight against evil. Warren mistakenly shoots and kills her in Season 6. Marc Blucas portrayed Riley Finn, a University of California at Sunnydale psychology teaching-assistant who is also an operative in the U.S. government’s secret demon-fighting military organization, the Initiative. He and Buffy date in Season 4 and 5, when he breaks up with her and goes on a mission to Latin America. Riley returns, now married, for an episode in Season 6. David Boreanaz played Angel, a centuries-old vampire who was cursed by gypsies to regain his soul and suffer at the memories of everyone whom he had killed. He and Buffy date and fight the forces of evil in Seasons 1, 2, and 3, when Angel breaks up with her before senior prom and then soon moves to Los Angeles to fight demons there. Click for more information about Buffy & Angel. Nicholas Brendon was Xander Harris, a high-school student who befriends Buffy in Season 1. He had also been friends with Willow ever since they were children. Buffy, Xander, and Willow — along with Buffy’s watcher, Giles — form the “core” of the so-called Scooby Gang. Xander was not terribly bright, he never develops any otherworldly powers, serves as the group joker, and finds that he tends to attract and/or date female demons. Charisma Carpenter portrayed Cordelia Chase, who was the most-popular girl at Sunnydale High School with a mean streak to boot. Over the three years that she was on “Buffy” and then later on “Angel,” she becomes more sympathetic and nice. Cordelia dates Xander and Season 2 and 3. After graduation, she moves to Los Angeles to pursue an acting career after her father’s tax issues make her unable to afford to go to college. Emma Caulfield played Anya Jenkins, a Swedish woman who was transformed into a vengeance demon nearly a thousand years ago. She becomes human again after convincing Cordelia to let her curse Buffy. Anya dates Xander in Seasons 4 and 5, eventually becoming engaged to him although Xander breaks up with her on their wedding day in Season 6. Anya dies in the final episode of Season 7. Alexis Denisof was Wesley Wyndam-Pryce, the watcher who replaces Rupert Giles and attempts to serve as Buffy and Faith’s commander in Season 3. After traumatizing Faith while trying to capture the deranges slayer and take her to England, he loses the group’s respect. Buffy later quits the Watchers’ Council altogether. Wesley eventually joins Angel in Los Angeles. Sarah Michelle Gellar portrayed Buffy Summers, the vampire slayer on whom the show focuses. She moves from Los Angeles to Sunnydale, California, at the beginning of her sophomore year of high school, meets Xander and Willow, and begins training under her new watcher, Rupert Giles. Throughout the series, she dates various men — human and not — dies twice, and in the final episode completely changes the prophecy that gave her the role of Slayer. Seth Green played Daniel “Oz” Osbourne, a Sunnydale High student who plays lead guitar in a band, knows technology, and dates Willow in Seasons 2 through 4. He becomes a werewolf after being bitten by his infant-cousin. and is a murderous beast three days out of the month. He leaves town in Season 4 when he decides that he cannot protect Willow from himself. Alyson Hannigan was Willow Rosenberg, a wallflower, technophile, and friend of Xander at the beginning of the show who befriends new-student Buffy. Eventually, she starts learning magic, gains confidence, dates Oz, goes to college, and realizes that she is a lesbian. Her power grows so strong that she almost destroys the world in grief at the end of Season 6 after the death of her girlfriend, Tara. Anthony Stewart Head portrayed Rupert Giles, Buffy’s watcher, mentor, and father figure throughout all seven seasons of the TV show. Originally from England, he moved to Sunnydale, California, to become the librarian at the Sunnydale High School library. His extensive knowledge of mystical lore always helps the Scoobies in their fight against evil. James Marsters played Spike, a vampire who was sired by Druscilla, who was sired by Angel. While he was evil, he killed two slayers over the centuries. Eventually, the Initiative, a government demon-fighting unit, implants a chip in his head that renders him unable to harm human beings. 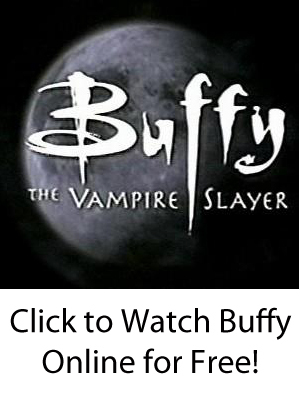 In Season 5, he realizes that he is in love with Buffy, a feeling that will cause him to wander the world and regain his soul at the end of Season 6. He dies in the series finale (and then appears on “Angel” afterwards). Michelle Trachtenberg was Dawn Summers, Buffy’s little sister in Seasons 5 through 7. A group of monks transformed a bundle of important energy in human form and gave it to Buffy in the form of a sister because they knew she would be protected. 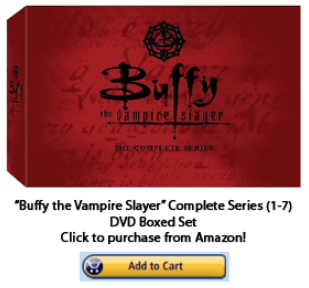 Buffy gives her life at the end of Season 5 to protect Dawn and save the world. Dawn enters the new Sunnydale High School at the beginning of Season 7. Elizabeth Anne Allen as Amy Madison — A Sunnydale High student who becomes a witch and causes havoc in a few episodes. Sam Anderson as Holland Manners — A member of the Watchers’ Council with nefarious plans whenever he appears. Larry Bagby as Larry Blaisdell — A Sunnydale High student who seems like a mean jock but is actually a closeted gay-man. Clara Bryant as Molly — A potential slayer in Season 7. Dean Butler as Hank Summers — Buffy’s estranged father. Adam Busch as Warren Mears — A geek who builds robot women in Season 5 and then becomes more evil in Season 6. Lindsay Crouse as Professor Maggie Walsh — Buffy’s psychology professor and the head of the government demon-fighting group, the Initiative. Felicia Day as Vi — A potential slayer in Season 7. Eliza Dushku as Faith Lehane — A slayer who is activated in Season 3 after Kendra’s death in Season 2. Ethan Erickson as Percy West — A Sunnydale High jock who appeared in Seasons 3 and 4. Nathan Fillion as Caleb — A servant of The First Evil who appears in Season 7. Fab Filippo as Scott Hope — A Sunnydale High student who Buffy dates in Season 3. Harry Groener as Mayor Richard Wilkins III — The mayor of Sunnydale, California, and the Big Bad of Season 3. Saverio Guerra as Willy the Snitch — The owner of a local pub frequented by both humans and demons. Sarah Hagan as Amanda — A potential slayer in Season 7. George Hertzberg as Adam — A being that is part-human, part-demon, and part-machine and the Big Bad of Season 4. Indigo as Rona — A potential slayer in Season 7. Jeff Kober as Rack — The “pusher” who gives Willow her doses of dark magic in Season 6. Clare Kramer as Glory — A hell-god who tries to destroy the world and is the big bad of Season 5. Robia LaMorte as Jenny Calendar — The Sunnydale High computer-class teacher who also dates Giles in Season 2. Juliet Landau as Drusilla — Spike’s insane, vampire girlfriend in Season 2. Bianca Lawson as Kendra Young — The slayer who is called after Buffy’s brief death in the last episode of Season 1. James Leary as Clem — A friendly demon who spends his take playing poker (for kittens). Julia Lee as Anne Steele — A former vampire groupie who moves to Los Angeles and meets Buffy again at a diner. Tom Lenk as Andrew Wells — A nerd who joins Warren and Jonathan in their evil scheme in Season 6. Iyari Limon as Kennedy — A potential slayer who dates Willow in Season 7. Mercedes McNab as Harmony Kendall — A popular girl at Sunnydale High who is friends with Cordelia and becomes a vampire at the end of Season 3. She and Spike date in Season 4 and 5. Mark Metcalf as The Master — A centuries-old vampire who is the Big Bad of Season 1. Leonard Roberts as Forrest Gates — An Initiative soldier who is a friend of Riley. Kali Rocha as Cecily/Halfrek — Anya’s vengeance-demon friend and mentor. Robin Sachs as Ethan Rayne — A friend of Giles from when they were young and who causes trouble whenever he returns to Sunnydale. Armin Shimerman as Principal Snyder — The second principal of Sunnydale High School. Danny Strong as Jonathan Levinson — A perpetual dork in Seasons 2 through 4 until he joins Warren and Andrew in Season 6. Kristine Sutherland as Joyce Summers — Buffy’s mother. D. B. Woodside as Robin Wood — The third principal of Sunnydale High School. Harris Yulin as Quentin Travers — A member of the Watchers’ Council who is seemingly Giles’ superior.